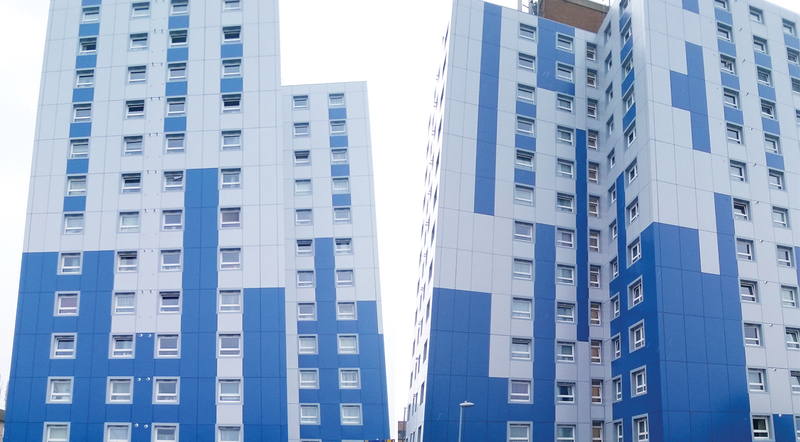 The whole process took just 18 weeks with the project being completed on time, on budget and with minimal disruption to residents without the need to decant. 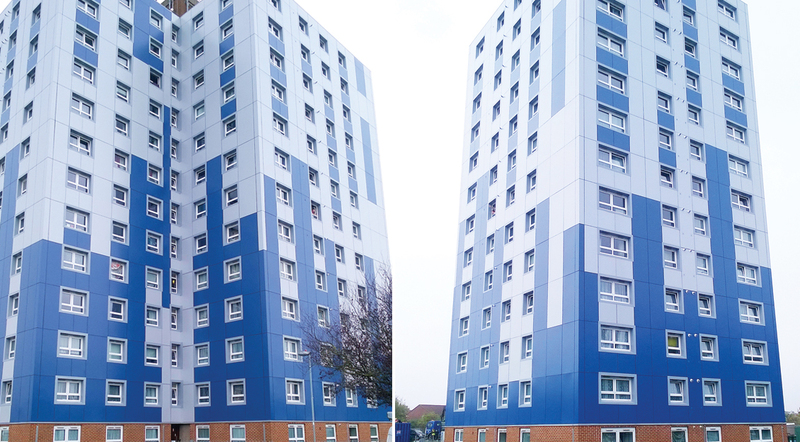 The London Borough of Hounslow (LBH) identiﬁed Clements Court cladding as sub-standard and swiftly set about making the façade ﬁre-safe. They initially took reference for, and sought advice from, the wide variety of industry sources available to them. 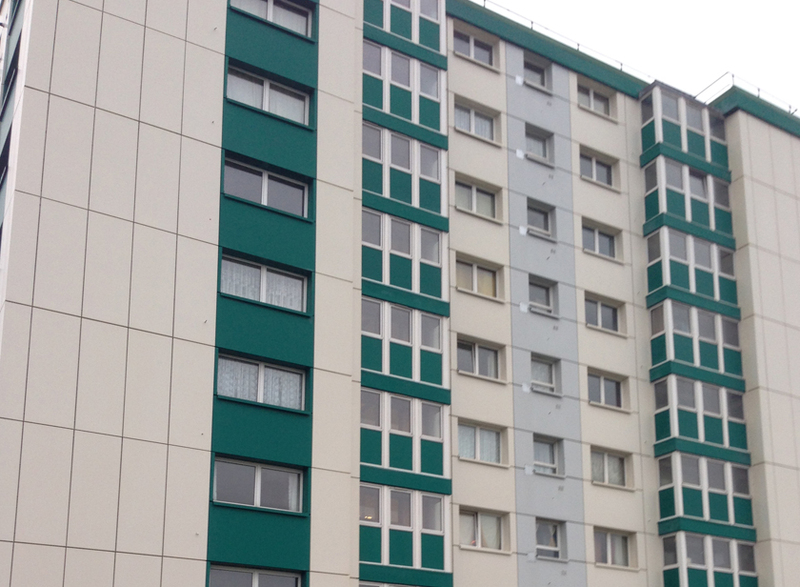 They quickly agreed terms with d+b facades on a cost-plus basis to strip the offending cladding and make the façade fire-safe. 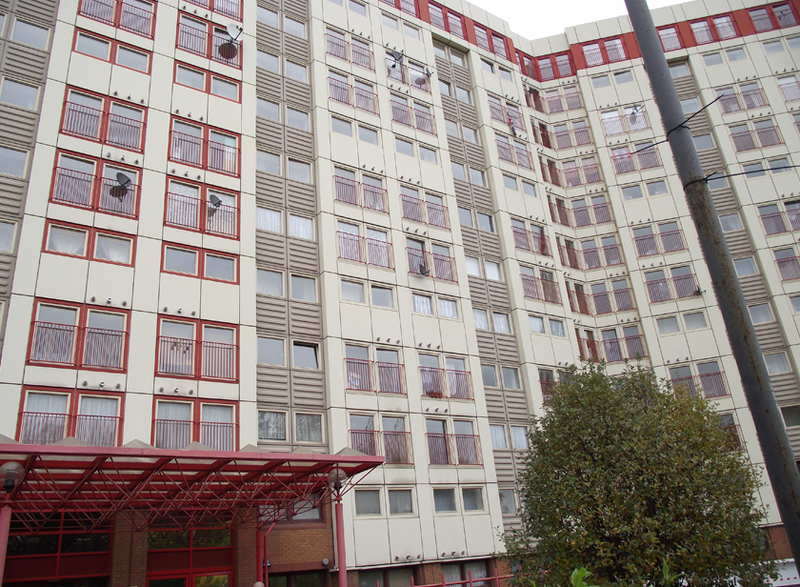 As the works to remove the combustible cladding progressed, LBH began to develop their Employer’s Requirements for the making-good works. LBH recognised that there was no clear path of responsibility for the original cladding failure and they did not want to make the same mistake again. They identified a ‘Design Build’ Form of Contract that would result in clear responsibility vested in the Contractor. The Contractor would need to demonstrate a long, proven track record of performance on comparable projects. 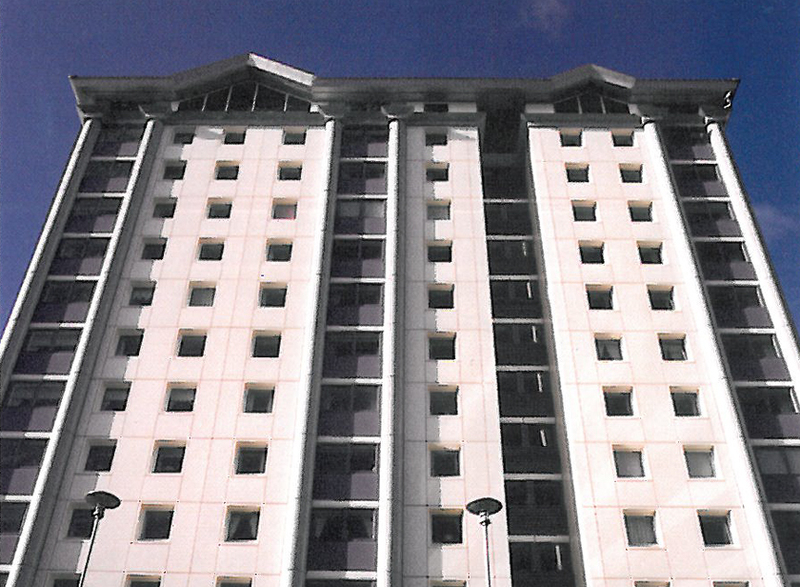 The design of the complete new façade system (fixings, support structure, insulation, firebreaks, cladding etc) had to be fully certified and warranted by an industry-leading structural engineer. 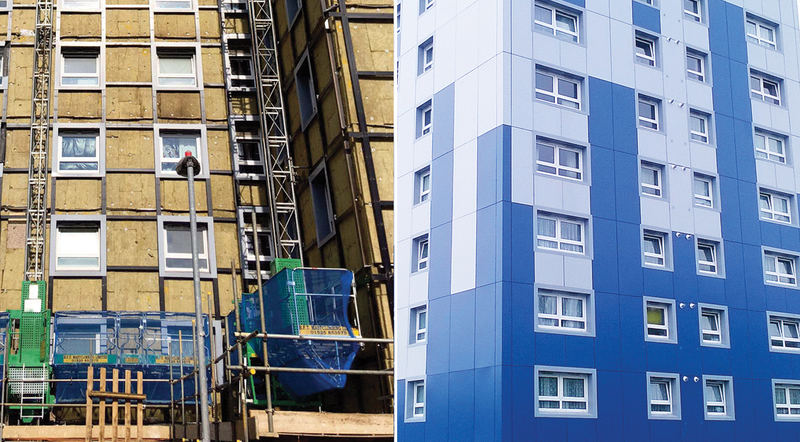 The cladding system was to be non-combustible, it had to meet and surpass Approved Document B standards, be very long lasting with clear, concise and extended warranties. Limited-period and caveated product warranties were not acceptable. Planning and Building Control approvals were to be obtained. A competitive, fixed, lump-sum price was required and the works had to be completed within a strict timetable. Employers Requirements established, LBH invited Contractors Proposal’s. 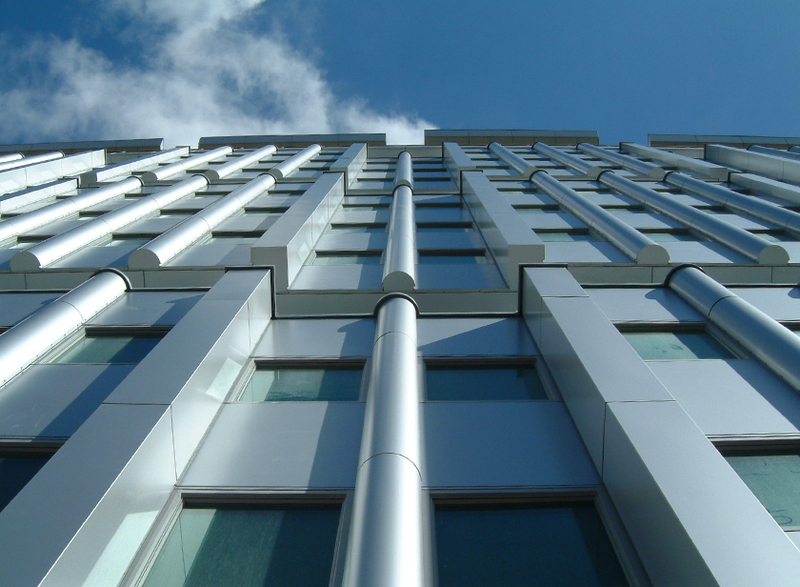 Following careful, weighted assessment of offer(s) received they appointed d+b facades and then closely scrutinised their every action throughout every stage of the design and installation process. The result is an exemplar project, with clear responsibilities, delivered on time and within budget. 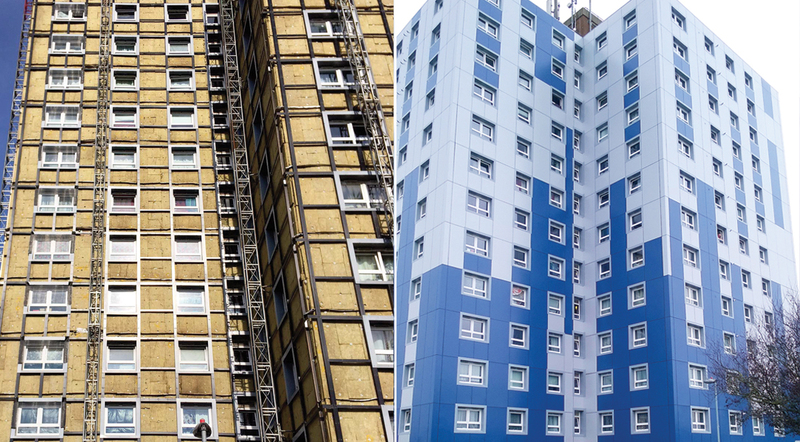 The cladding is sustainable and will meet the needs of many generations to come.